The Indianapolis area is home to many shopping malls. While there are shopping malls on each side of town, these top malls offer the most stores and variety within their walls. 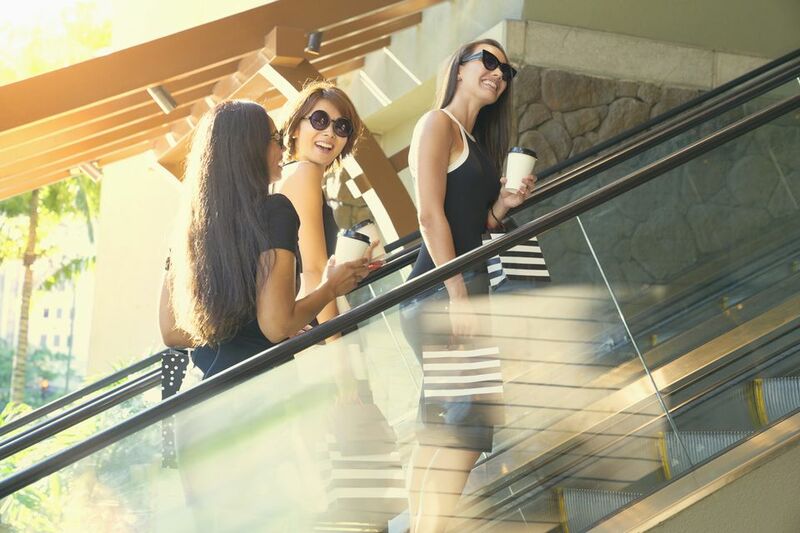 Whether you are searching for clothing, jewelry, or specialty shops, this list of Indy’s best shopping malls might come in handy. Castleton Square Mall, located on the north side is the largest mall in the state of Indiana. Department stores at Castleton include JC Penney, Von Maur, Sears, and Macy’s. In addition to the department stores, there are many clothing stores geared towards teens, including Hollister, H & M, Charlotte Russe, Forever 21, and Aeropostale. The mall has a play area in the large food court and a brand new movie theater. The only downside to the Castleton Square Mall is the traffic, which is often backed up coming from both directions on 82nd Street. During Christmas, this area of town is often referred to as "Hassleton,” but during summer months, traffic is much lighter. Servicing the Carmel area, Clay Terrace is a beautifully laid out outdoor shopping center. Clay Terrace offers unique specialty shops and art galleries that are not offered at any other malls in the city. Featured stores include Orvis, Pier 1, Vera Bradley, Merrell Shoes, and Eddie Bauer. Clay Terrace even boasts a Whole Foods. There are many businesses located in the shopping center, including a martial arts center, a day spa and a paint-your-own ceramics studio. Restaurants at Clay Terrace vary in price range and include Kona Grill, Mitchell’s Fish Market, Ted’s Montana Grill, and Red Robin. For upscale shopping, you cannot beat The Fashion Mall at Keystone. Located only a few blocks away from Castleton, this mall features such prestigious stores as Saks Fifth Avenue and Nordstrom. Apparel stores for men and women include Burberry, Cole Haan, Tommy Bahama, Brooks Brothers, and the Banana Republic. There are several specialty stores at Keystone that cannot be found anywhere else in the city, including the always-packed Apple store, Tiffany & Co, Pottery Barn, and Brighton. The food court at the Fashion Mall recently underwent a renovation. Fast food options include Ban by Naked Tchopstix, Cafe Bistro at Nordstrom, Chipotle, Elevation Burger, freshii, and Subway. Many great restaurants are attached to the mall, as well. These include Maggiano's, Napolese Pizzeria, Seasons 52, Sullivan's, T.G.I. Fridays, and The Cheesecake Factory. Similar in layout to Castleton Square Mall and boasting many of the same stores, Greenwood Park Mall services the south side of Indianapolis and surrounding communities. Featuring men and women’s fashion stores such as Loft, Buckle, Express, Old Navy, and Abercrombie & Fitch, the mall has plenty to offer. This mall also offers a play area for small children and a vast food court. In addition to the food court, Greenwood Park has a variety of popular restaurants, including The Cheesecake Factory, Stir Crazy, Bravo, and Johnny Rockets. The only mall to make the list that is not a Simon mall, The Shoppes at Perry Crossing was first known as "Metropolis". The mall caters to the west side of town. This outdoor shopping center is newly built and features many of the most popular stores. For apparel, don’t miss old favorites such as American Eagle, PacSun, Hot Topic, The Children's Place, and Lane Bryant. The Shoppes at Perry Crossing offer various dining options including the Claddagh Irish Pub and Stone Creek Dining Co. A movie theater is also on the premises.